Service. It was then used by the tour group, and the photo shows it parked alongside BHP's Port Lincoln - Coffin Bay railway, on Sun.23.2.86. 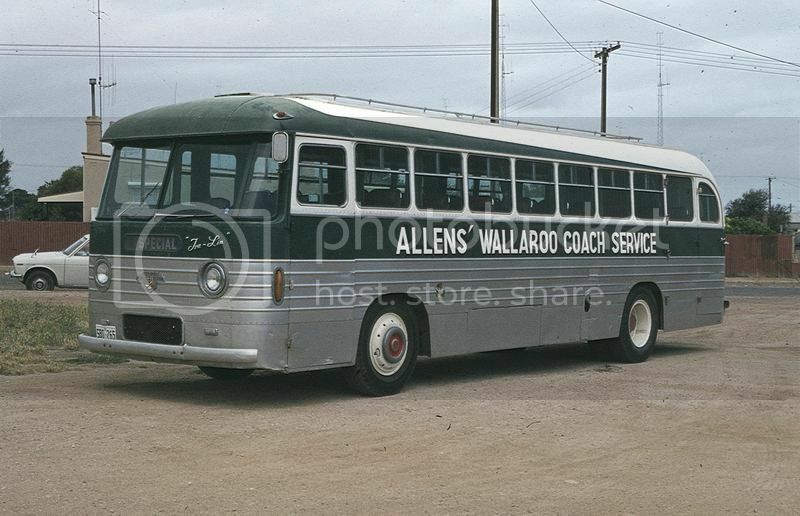 After a posting elsewhere, Geoff Foster emailed me: 'It was a 1959 Freighter-bodied Leyland Tiger Cub which was new to Yorke Peninsula Road Lines and passed with that business to Allens'. I can't remember if it had a manual gearchange or a preselector. Brought back to Victoria, it was used to support various RTA tours: both carrying tour groups and bringing supper to tram or train tours. The bus was well preserved, and in original condition. During a family feud when Geoff was incapacitated (~2000? ), his brothers sold it, apparently for conversion to a mobile home. A great pity it didn't survive as a bus. My guess is that it was new about 1960, judging by the Freighter body style. Great additions. It is not the first of your pair (2828, different name), but is the second (265); I remember the name 'Tra-Lin', which should show in more of the series, taken during its new life in Victoria. Last edited by Roderick Smith on Mon Aug 14, 2017 3:18 pm, edited 2 times in total. Last edited by Roderick Smith on Sun Aug 13, 2017 7:39 am, edited 1 time in total. I notice that a Leyland Tiger Cub in Qld had a pneumatic clutch; and have found that it was an option for the model. Could this one have been fitted? I know that I'm digging up an old thread here, but I took a few photos of this coach, a few days ago, and found this while looking for information. It's sitting in a field in the Sunbury area with a few others. It looks like the conversion never happened, as you can still see seats in it. Pretty much looks like it was parked up and then forgotten about. There's a few eclectic friends around it as well, these being two generations of AEC Regal and a 70's bendy of some description. The bendy looks like ex Adelaide or Darwin. 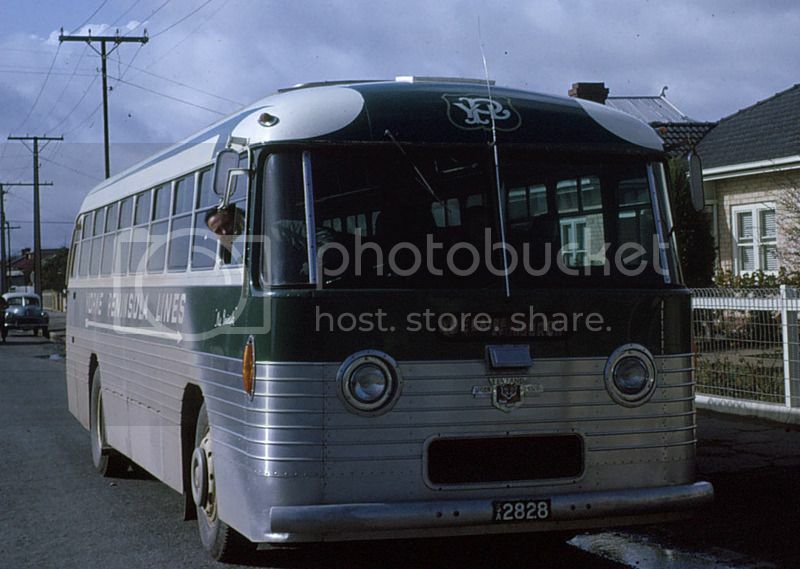 The bendy was new to Darwin,then sold to Hoy's Roadlines in Wangaratta for use as a school bus on their Wang-Hamilton Park school contract. The body looks pretty much identical to an ex Adelaide Volvo B58H, or B10MA. Fleet lists may be able to confirm the number. These were withdrawn from route service around 2004-2005. New to Darwin Bus Service as 34)N.T mo 8.034 Leyland DAF/PMCSA(4105,12/79)AB73D. Sold to Hoys Roadlines Pty.Ltd.,Wangaratta ,9/93.Reg as 46)FLF 161.Used on their Hamilton Park school run. The Bendy and the Mark IV were caught up in a failed extremely ambitious museum/cropping venture down Drouin way, note the CH plates on the bendy and the mark IV, IIRC there was a dispute over storage fees owing and access was denied to the 4 buses, I'm unsure if the other 2 buses were part of the museum plan.